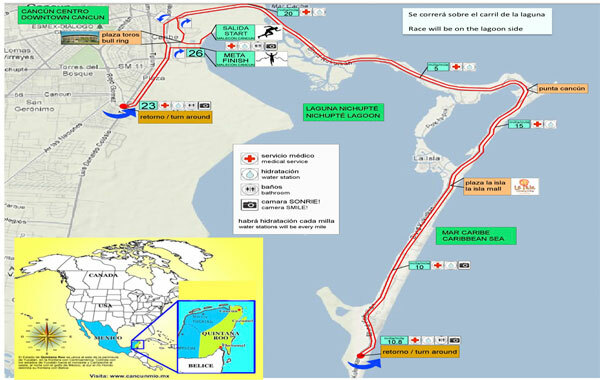 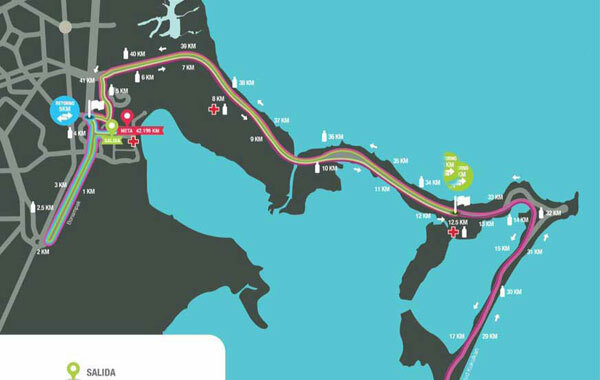 Races Start from the Malecón Tajamar connecting then to the hotel zone. 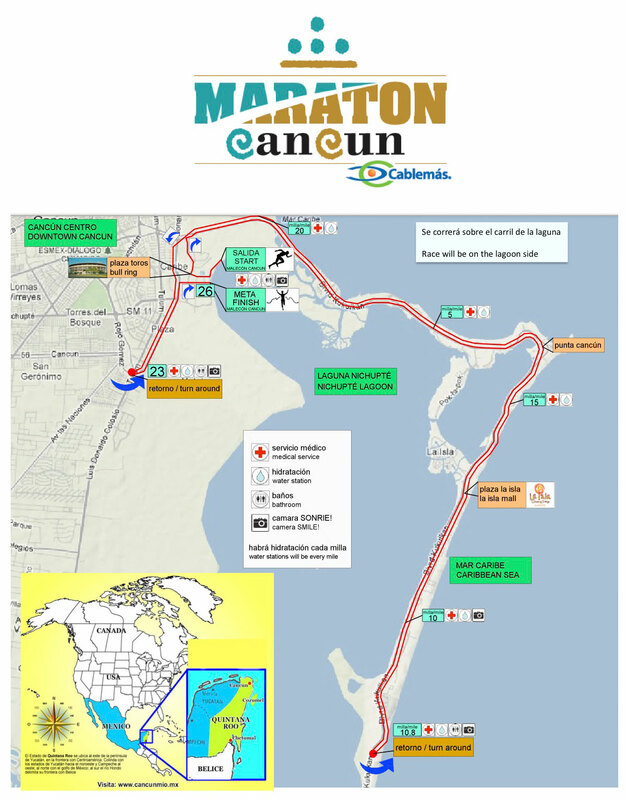 The route will be 42.195 meters and will run simultaneously with the half marathon (21 kilometers) and a 5K run (will be located in the Bonampak Avenue). 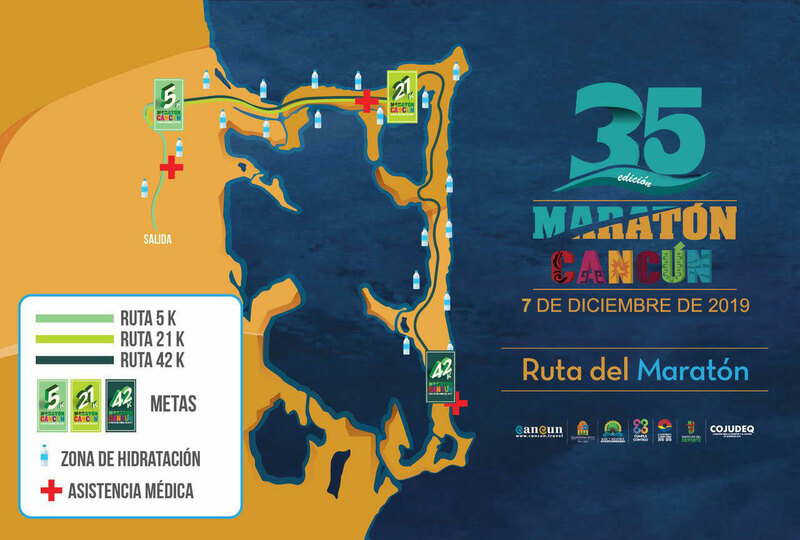 The start of 5Km, will take place from Avenida Bonampak. 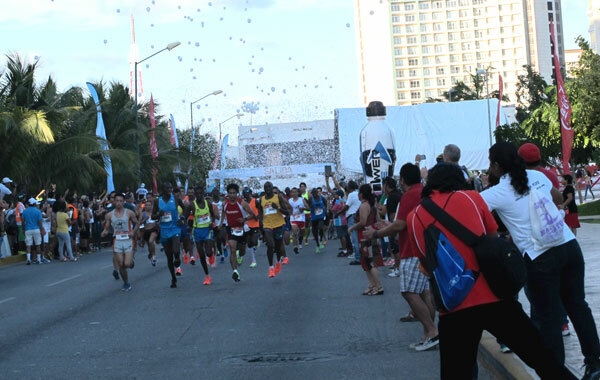 The finish line is installed Tajamar Malecon, Avenida La Rambla.